October 31, 2013  The Boston Red Sox are world champions after beating the St. Louis Cardinals. Here's a cheat sheet about the World Series. October 28, 2013  A three-run homer. A dramatic out at first to end the game. And now, Boston and St. Louis head into Monday night's fifth game with the best-of-seven series tied at two games apiece. October 24, 2013  The St. Louis Cardinals evened the World Series at one game each Thursday night, using a three-run 7th inning to defeat the Boston Red Sox, 4-2. October 24, 2013  Boston rolled over St. Louis in the first game of the series, winning 8-1. 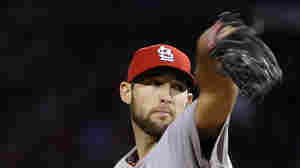 The Cardinals' performance is being summed up with words such as inept, hapless and self-destruction. Game 2 is Thursday night in Boston. October 21, 2013  Leyland has been one of the most-respected and most-successful managers in baseball. 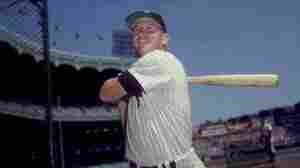 He led the Florida Marlins to a World Series title. 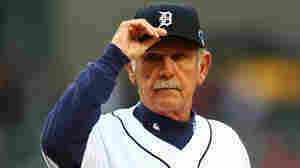 At Detroit the last eight seasons, he twice led the Tigers to the Series. September 30, 2013  The regular season ended with a dramatic no-hitter and a tie that will force an elimination game. 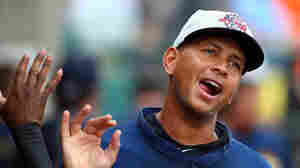 But the season's finish also means that Yankees third baseman Alex Rodriguez can start his formal appeal of a 211-game suspension. August 19, 2013  Alex Rodriguez isn't the most popular person in baseball. 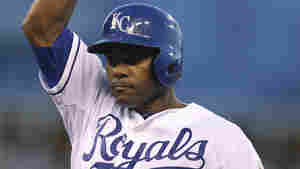 He's appealing a 211-game suspension for allegedly violating the game's rules on performance-enhancing drugs. Sunday, Boston pitcher Ryan Dempster sure seemed to be throwing at A-Rod — and he hit the Yankee. But Rodriguez had the last laugh. August 17, 2013  Tejada reportedly has tested positive on multiple occasions for the use of the amphetamine Adderall. His suspension is one of the longest in Major League Baseball history. The Knuckleball Can Devastate, So Why Don't All Pitchers Throw It? August 14, 2013  Teams haven't typically tried to develop knuckleballers and players haven't usually wanted to throw the pitch. But now the Baltimore Orioles are teaching the knuckleball to three minor league pitchers. 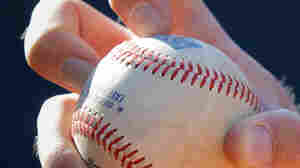 A physics expert and fan of the pitch wonders whether this could be the start of a "knuckleball era." August 8, 2013  Calling a lawsuit's potential results "absurd" for cities around the United States, Major League Baseball asked a federal judge to dismiss a challenge to its antitrust exemption filed by San Jose. 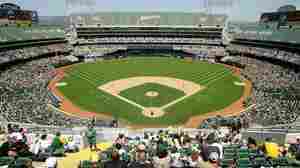 The city hopes to lure the Oakland A's to relocate there. August 6, 2013  Watch and listen as a Chicago crowd gives Yankees third baseman Alex Rodriguez the business when he returns to the lineup on the same day he was hit with a 211-game suspension (which he's appealing). 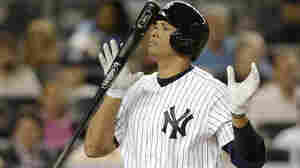 A-Rod managed to pop the ball into left field for a hit. August 5, 2013  By suspending New York Yankees third baseman Alex Rodriguez, Major League Baseball stopped short of the lifetime ban that had been threatened. But in the league's history, even lifetime bans have sometimes translated into suspensions of less than a year. August 5, 2013  The league also announced 50-game suspensions against 12 other players because their names allegedly show up on customer lists at Biogenesis, a South Florida clinic that distributed performance-enhancing drugs. July 31, 2013  According to media reports, the league handed the players union names of those facing suspensions for doping. Alex Rodriguez is rumored to be among them.